I spent yesterday evening watching a presentation of work from the Center for Investigative Research at Open Show Bay Area, this time hosted at the Berkeley Rep. It was fantastic. The CIR has been on my radar ever since I read their piece The Shooter, and the work presented at Open Show was of the same high quality. In fact, we watched a video from the Broken Shield project, which project nearly won the reporters a 2013 Pulitzer Prize (they were finalists). After the presentations, we went to the nearby beer garden Jupiter for drinks and chatter. That's when I pulled my camera out and took a few pictures. For your enjoyment, a few vignettes from Jupiter. 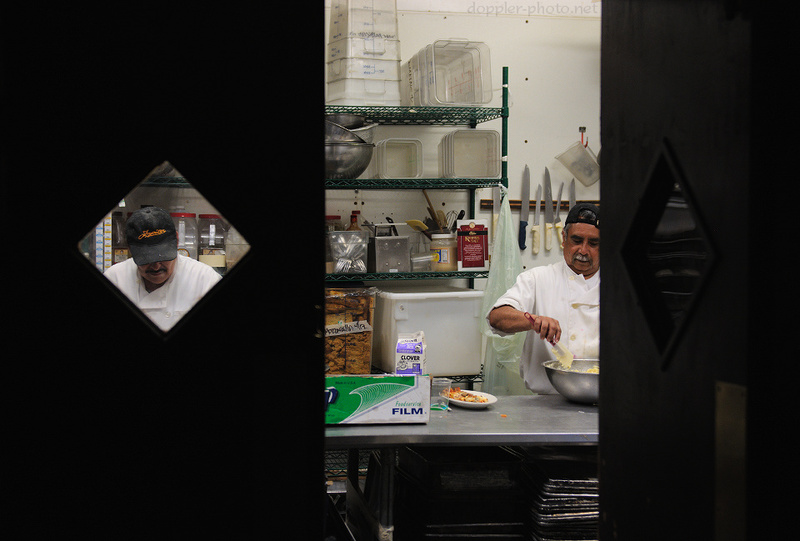 Two chefs prepare food in the kitchen. 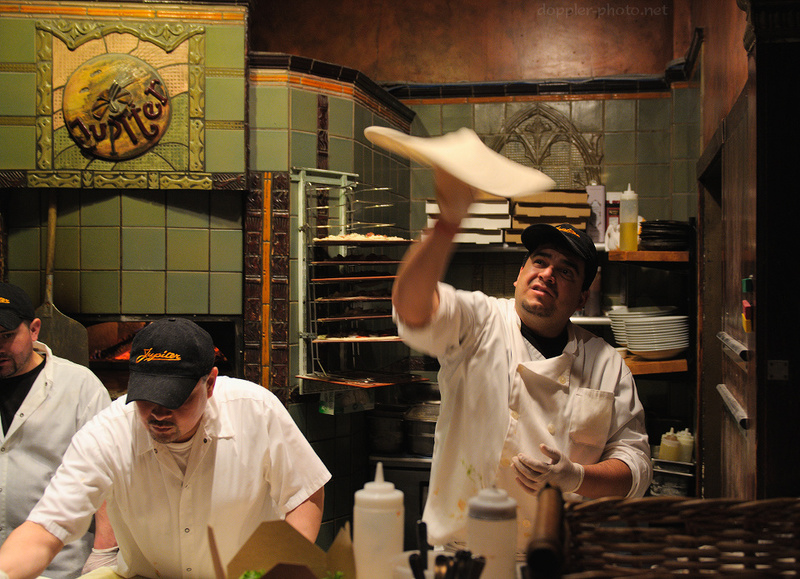 One of the chefs on the pizza crew tosses a pizza dough. 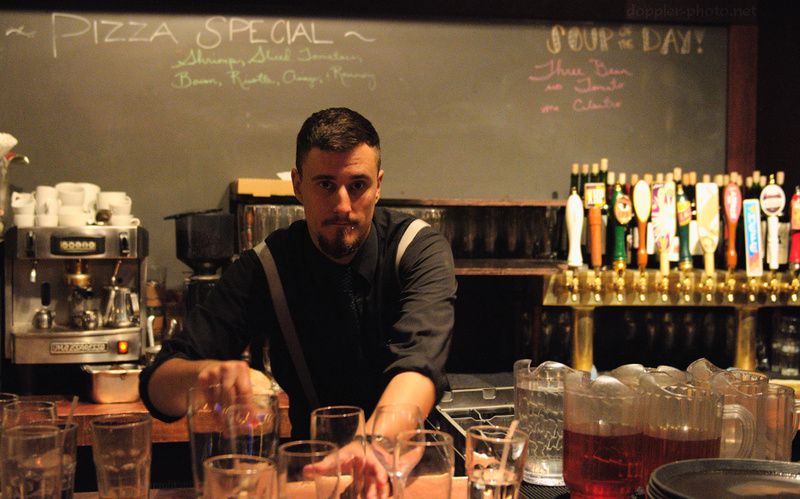 A bartender moves some glasses to a dish rack before sending them through the dishwasher.